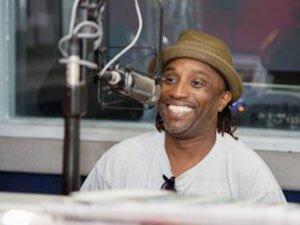 Save the Bays director Kirkland ‘KB’ Bodie, a musician on an environmental mission, tours radio stations with the Bahamas National Trust to promote his latest single, Conchservation, bringing awareness to an initiative to preserve the country’s dwindling conch population. 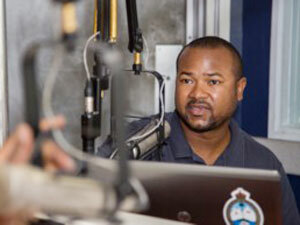 Jared Dillet Marine Resources Campaign Coordinator at Bahamas National Trust] Bahamas National Trust’s Conchservation program coordinator Jared Dillet tours radio stations bringing awareness to an initiative preserve the country’s dwindling conch population. King of rake’n scrape lends voice to queen of conch The king of rake ‘n scrape is lending his voice to the queen of conch. Kirkland ‘KB” Bodie – a musician on a mission – released his newest environmental song today, a tribute to the national delicacy and a plea to conserve conch. Recorded and produced in conjunction with a Bahamas National Trust (BNT) initiative called Conchservation, the song by the same name highlights the campaign to save the bright pink mollusk so closely associated with the Bahamian diet and culture. The BNT initiative is supported by the fast-growing environmental movement, Save the Bays. “As a musician who has travelled around the world, I’ve seen the degradation in other places, the harm people have done to their environment and I think it’s so important to appreciate the beauty and splendor in our nation,” said KB. ‘Conchservation’ is the latest in a string of songs by the popular artist whose songs often combine a distinctive Bahamian rhythm with a strong Bahamian message. The message: conserve conch, preserve and respect the national delicacy before it disappears here as it has all around the Caribbean. Its chorus “We are a conchy nation, we need to think conchservation,” is aimed at sensitizing the public to the need to heed the basic rule of conching – don’t take immature conch who have not had a chance to reproduce. 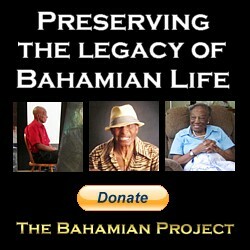 A mature conch has a fully developed lip that is 15 mm thick, about the thickness of a new Bahamian penny. Eric Carey, BNT Executive Director, said the momentum to preserve conch is building, thanks to a greater understanding of how quickly the stock is being depleted and a growing fear that The Bahamas will go the way of other island nations whose conch population was once plentiful. Divers today have to go further, dive deeper to find conch, some venturing 30 miles off Nassau’s shores and diving 40 feet to bring home enough for one day’s sale to individuals and restaurants whose conch salad, conch chowder, cracked conch and other conch dishes are as much a staple of the Bahamian diet as it is a sought after dish by visitors. “Enforcing our current fishery regulations remains a challenge for The Bahamas as a result of the expansiveness of our archipelago,” said Eric Carey, BNT Executive Director. “The Department of Marine Resources needs increased support and staffing to be able to do its job properly. Further, the planned upgrades to the Royal Bahamas Defence Force fleet are critical if enforcement is to be effective.” Released today on 100JAMZ with a line-up of other stations to follow, the song demonstrates KB’s belief that a good message can be powerfully delivered through a good beat. “More musicians and artists need to step up and pick up serious issues and lend their talents to serious subjects,” says KB. Conchservation was launched in April with a full day roll out at Arawak Cay when Waterkeeper Alliance President Robert Kennedy, Jr., was on hand to offer encouragement and congratulations, inspiring the crowd with the turnaround story of the Hudson River, once so polluted it was dangerous and now fresh enough to swim, fresh and drink. “I would like to take this opportunity to thank and congratulate the Bahamas National Trust for taking on this important mission,” said Kennedy, speaking to locals and visitors who gathered at Frankie Gone Bananas April 27. And in helping to launch the new KB single, Carey thanked sponsors and partners who made the Conchservation initiative possible. For more information www.bnt.bs.